To be sold as a whole or in separate lots. A unique opportunity to purchase a wonderful investment and a splendid period 6 bedroom family home with 32 acres - paddocks/pastureland, 47 River Thames frontages with moorings. Within the heart of this famous village & easy walking distance to Pangbourne. 5,414 sq ft / 503 sq metres. A splendid individually designed, newly constructed 6 bedroom country house. Pretty views over pastureland. Built and fitted to the highest standards. 42 ft / 13 metre kitchen/ living room. A modern 6 bedroom country house, occupying one of the finest positions on the outskirts of Pangbourne. Overlooking its own gardens and land of approximately 2 acres. A 7 bedroom country house occupying one of the finest positions within the village of Upper Basildon, within the heart of approximately 14 acres of pastureland bounded by 20 acres (approx) of woodland with option to purchase. It is hard to imagine a more tranquil, beautiful or rural location. Planning permission for 2 new dwellings with 14 acres (approx) of pastureland and numbers of substantial outbuildings, with option to purchase a further 20 acres (approx) of woodland. A splendid 5 bedroom character country house, in magnificent order throughout. Enjoying uninterrupted rural views over natural countryside to woodland in the distance. NO ONWARD CHAIN. 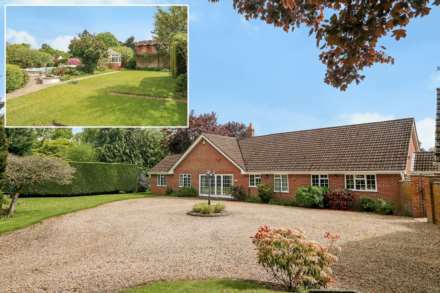 An elegant 6 bedroom 1930`s detached house with later additions. Superbly fitted. Constructed in the Arts & Crafts period in one of the most sought - after residential roads, having undergone tasteful extension and modernisation of recent times. Old Wall Cottage is a wonderful 4 bedroom period country house set in a secret walled garden and with a 8m/26ft River Thames mooring. Within easy walking distance to Pangbourne`s shops and station. In superb order throughout. 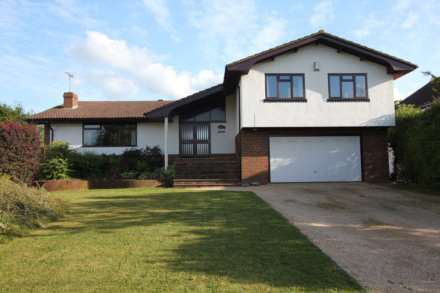 A handsome modern 5 bedroom house set in an exclusive securely gated close of only 7 properties. Set on high ground enjoying magnificent far reaching southerly views over the fairways and grounds of Calcot Golf Club and into the far distance. A splendid, unusually spacious 5 bedroom modern country residence, situated in a quiet lane within walking distance of Bucklebury Common and set within a large plot part walled plot extending to 0.69 of an acre.